DataArchiva has rolled out one of the most anticipated features “Encryption at rest” in their latest release. The latest version of the application 3.7 is now available in the AppExchange, and all the current and new users can use it. Apart from introducing “Encryption at rest” feature, a major enhancement happened in the Scheduling process along with regular bug fixations which were tracked during the QA. Here is a sneak peek of the latest version of the DataArchiva application. DataArchiva now supports Encryption at rest on the archived data. 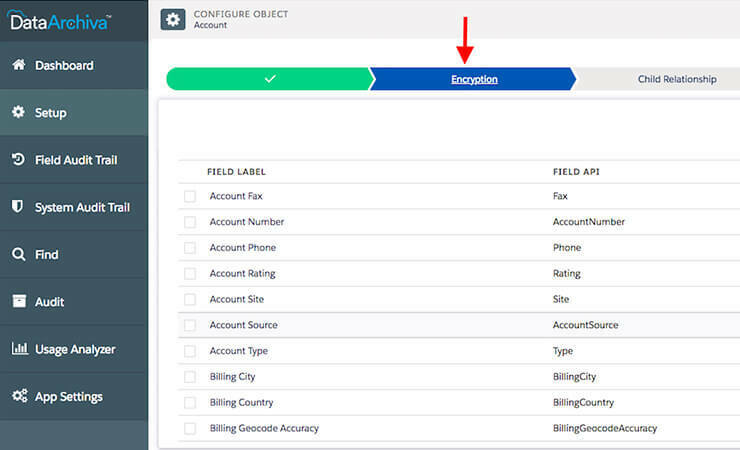 Enabling this feature, PII & Non-PII fields can be encrypted at rest while data getting archived into the Big Objects or external secondary storage. In order to maintain a good security practice, the secret key for encryption required to be changed at regular intervals. DataArchiva offers an option to generate a new secret key on demand whenever required. Based on the key generation policy, subsequent data encryption will use the most recently generated key. This feature will help organizations dealing with sensitive data and highly regulated industries. Get in touch with us to know more about the latest features in the DataArchiva application. Get the latest app here.